Organic movement in Lithuania started almost after the recovery of Independence in 1990, when a group of activists of scientists and farmers joined in to non-profit organisation ‘GAJA’. It wasn’t an easy start as the organisation didn’t get a lot of public and government support and trust. But in 1991 ‘GAJA’ joined IFOAM and already in 1993 – 9 organic producers were officially certified. Also during 1993 foundation ‘Tatula’ was founded, as a result of released ruling about importance of saving a sensitive relief of North Lithuania region which is known as karst region. The main purpose of the ‘Tatula’ organisation was to join organic farmers of North Lithuania region who saw the importance of saving environment of this region. From 1992 ‘Gaja’ was receiving a lot of support from Switzerland. Association SVWO was organising learning courses and lectures for Lithuanian organic farmers in Switzerland. Also they founded a fund which was giving loans without interest to organic farmers. This support was really important for organic sector farmers as the sponsorship from Lithuanian Government started only in 1997. Also official certification body was founded in 1997 and in 2000 ‘EkoAgros’ got accreditation from IFOAM. Now organic sector land is covers 5,7II % of all agricultural land, in 2006 the fast growth of organic sector in Lithuania after joining the EU led some to predict that organic sector would expand up to 15% by 2015, but the economical crisis stopped rapid growth. When recovery after the crisis started in 2010, LOFA (Lithuanian Association of Organic Farms) was founded. 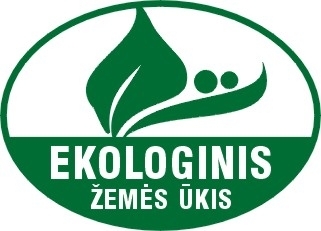 Now this association is the youngest but at the same time biggest non-profit organic organisation in Lithuania; it joins around 160 Lithuanian farmers. LOFA is strong lobbying group for organic farmers and is influential in developing organic policy in Lithuania. Now there are around 2600II organic farmers in Lithuania and this number is growing as the importance of organic agriculture in Lithuanian Agriculture sector is finally recognised and becoming more popular in society and as a result of hard work of mentioned NGO’s, government is also involved in this recognition and solving the problems of organic agriculture in Lithuania.